Still 4 days to get those applications submitted. If you are a designer, creator or reseller of Gacha I hope to see your application. Revised Rules- Forgot to add #7 1) Picture must be taken at our HUB location in the Halloween area. 2) Picture must be full perm 3) Photo needs to be attached to a notecard with the name of the person submitting it or photo needs named. 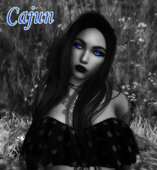 (example: Serena Halloween Contest - Cajuntease) 4) You may only submit 1 photo 5) Contest is open to all of SL from September 15th - October 15th 6) No 2 people can submit the same photo. (meaning- If 2 friends are taking pictures and you each wish to enter than the photos must be different) 7) No editing can be done to the photo. This is a snap and submit contest!! ωнαт: Mr Serena-Autumn 2018 Competition ωнєη: August 25th from 12p-3p slt ωнєяє: location TBA RULES: 1) Participant must be a owner or owners partner who has land with Serena Estates. 2) This Competition is for men ONLY. 3) Your applications must be turned in on August 11th by 9pm slt. 4) If you leave Serena Estates before the competition your application will be voided. 5) Only contestants that walk the runaway will be able to enter the contest board. 6) All contestants must be in a respectable attire. You get to pick the outfit but the Event Manager must approve it first. 7) Private parts must be covered. 8) No body building bodies. We want to see your personal appearance not more muscle than clothes. (Autumn themed) Prizes are as followed: Grand Prize: 10000L You will be judged on the following: 1) skin tone 2) body shape 3) overall physical appearance 4) Criteria Questions 5) Judges' Question Score is as followed: Criteria Questions make up 50% of your score Avatar Appearance makes up 30% of your score Judges' Question makes up 10% of your score Contest Board- Anyone can vote so invite your friends!! Contest board will give you 10% of your votes. Be sure to bring your friends.